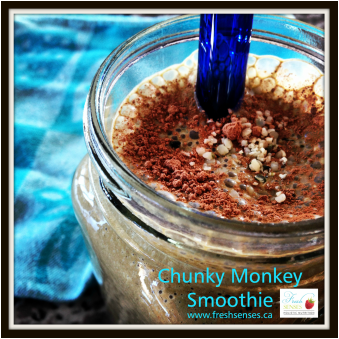 Add in all ingredients into a blender, blend until smooth and Enjoy! Blend all ingredients in a high speed bender, blend until smooth and serve. Optional add ins: kefir, yogurt, fresh mint (yum! ), blueberries, apple, etc. The best is just using up what you have and adding ingredients to taste. Blend all ingredients except goji berries until smooth and add water or milk as needed to desired consistency. 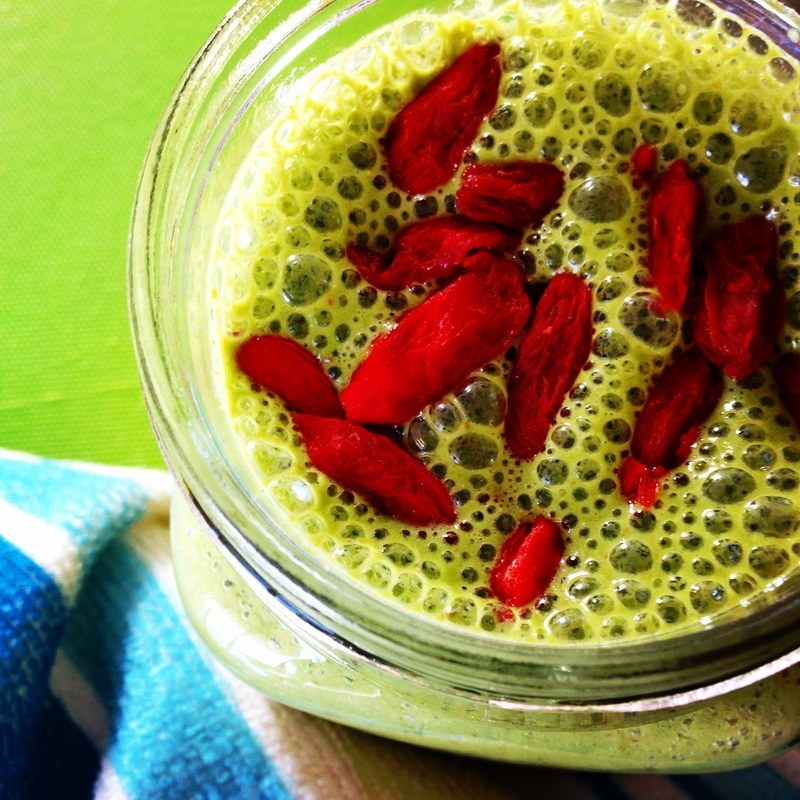 Top with goji berries and Enjoy! Blend and Enjoy! Add more ice or water depending on the consistency you like. 1. Soak almonds overnight. Rinse throughly in a strainer and pour into blender. 2. Add the dates, vanilla, and water. 3. Blend for 3-5 minutes. 4. 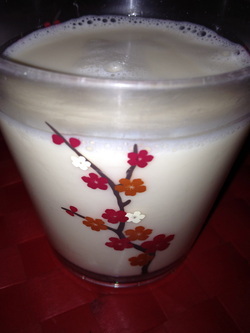 Strain through a Nut Milk bag or very fine strainer and pour milk into a glass pitcher and store in the fridge. Should last for 3-4 days. Tip: Dehydrate leftover almond pulp or bake at lowest temperature in the oven until it is completely dried out. Blend the almond pulp until it is a flour-like consistency and use as almond flour in recipes. 1. 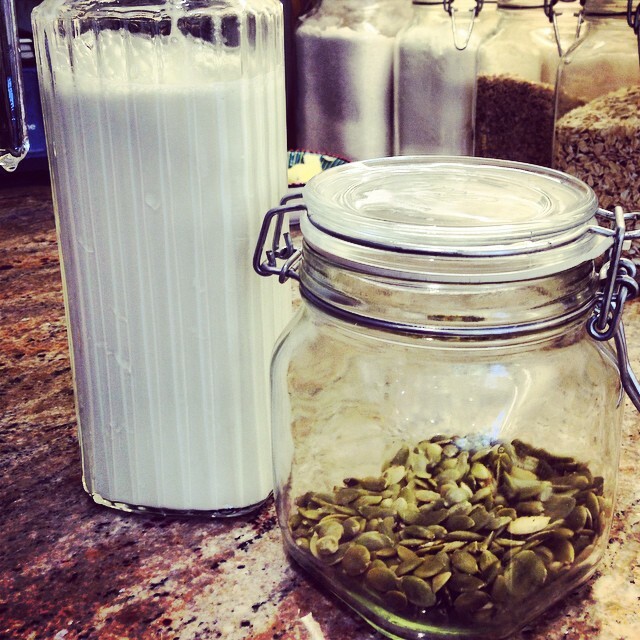 Soak pumpkin seeds overnight or for atleast 4 hours, strain seeds and since with water. 2. Add seeds to a blender with water, dates, some vanilla extract, sea salt, and blend on high. Strain through a nut milk bag and store in an airtight container in the fridge. 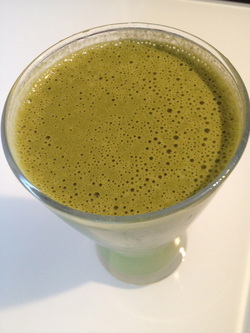 Blend this Green Goodness together and Enjoy! The colour is very vibrant, but the fruit takes over most of the flavour. This is an excellent source of Protein, Fibre, Omega 3's, and Probiotics. 1. Place all ingredients into a high powered blender. 2. Add enough filtered water to cover all of the ingredients (3/4 full). 3. Blend on high until it is all blended. 4. Pour into glasses or a pitcher and enjoy. Optional: you can strain this and have it as a juice or leave it as a smoothie.